My daughter, Emma, has been with the Mode Elle modelling and talent agency for just over a year now. 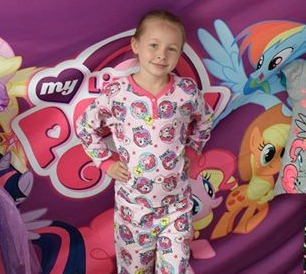 She’s done two (unpaid) fashion shows here at the mall and one impromptu My Little Pony clothing advertising which Rose got to participate in as well (similar to a fashion show and also unpaid, although they kept the clothes.) She loves those, but they don’t really gain her anything resume worthy. We are not very pleased with Mode Elle and they way they’ve been handling us. Especially as I found out last week that “our girl” no longer works there and we had no idea. Emma’s teacher for her self-esteem/modelling/acting course was our contact and “handler” (for lack of a better term) and really the only person we knew who worked there. And now she’s gone. I found out because I sent her an email with a few questions and some unavailable dates and got an autoresponder message saying she is no longer with Mode Elle and someone else will review your email. Well it’s been a week and no one has yet responded. That’s not good business. I’m going to share with you my impression of Mode Elle. In case you can’t tell, this is not going to be a very favourable impression, but here it comes. Mode Elle “scouts” talent in area malls. Emma was interested in the girl who was taking pictures the day we approached the kiosk. Of course the young lady behind the desk thought Emma was cute (because she is) and asked her some questions and we filled out paperwork. No obligations, of course. Then we were “invited” to go to the office and see what they do. They are very good at selling the idea of becoming talent with their agency. One of my nieces was also “scouted” and “recruited” to the agency. I’m not saying she doesn’t have talent, but I feel that your look or your attitude does not rank you any higher than anyone else as far as recruitment goes – your pocketbook does most of the talking. So we went ahead and enrolled Emma in the self esteem etc. course because we thought it would help her quiet, shy nature. It did, but not immediately. She liked the course and other kids, but we didn’t see much of a difference in Emma from the course alone. It’s been the exposure of the two fashion shows she’s done, and just the fact that she’s growing older and becoming comfortable with her own self-image and her friends and school life that has really brought her out of her shell. Over the last year Emma has gone to one audition in Toronto through Mode Elle. Now I have to say we turned down one opportunity last week because we really couldn’t swing it, but okay, then that would have been 2 auditions. Mode Elle assures us they are sending Emma’s details to lots of potential clients but hearing nothing in return. I’m don’t disbelive them, but I feel they have “favourites” and that kids with little to no experience kind of fall through the cracks. It’s much like trying to get your first job – you don’t have experience so you can’t get a job, and you can’t get a job to get that experience – it’s a vicious cycle. Now the agency is running “clinics” for their talent – Monday nights for an hour you can pay to go in and be “coached” on either runway or acting. I don’t know about anyone else, but after paying the management fees I feel the talent should be entitled to some free “coaching” so they can land more jobs and Mode Elle can make more money off of them. I don’t really like the idea of paying to belong and be marketed as talent and then paying more to hone the skills (or gain them in the first place) you need to get the jobs. It makes me think the agency is only in it to make money and they don’t really care who gets jobs or discovers their talent, as long as they’re sucking more and more money from you. And don’t get me started on photo shoots. Perhaps if you’re already into the world of acting or modelling an agency like Mode Elle would be a benefit to you – to help expand your reach and ability to apply for opportunities. For us I’m not convinced it’s working out. By the end of the summer we’ll have to decide if we’re sticking with them, moving on, or leaving this world behind altogether. I have dipped a toe into the local acting scene – nothing has come of it so far, but I also haven’t paid a single dollar and I have had an opportunity be a part of two different films locally in the last 2 months. One fell through, but the other may still be looming. And the one that fell through? Well the director suggested I may work out better for something he’s planning for later in the year. We’ll see what happens there! 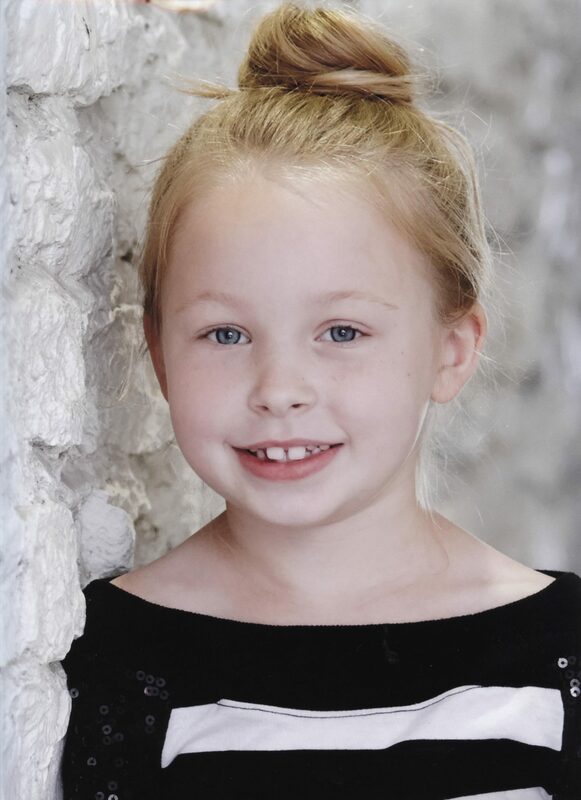 Also Emma is available for any print/runway/fashion/acting work that needs kids. Right now we’d have to do it through Mode Elle, but stay tuned to find out where we go with Emma in the future. Seriously, contact me and we will work something out. Emma is very keen to get some work going for herself. After her acting camp this summer I’m sure she’ll be ready to go. good for you for sticking to your guns, always go with your gut instinct, it seldom steers you wrong. Thanks for the comment Janis. I knew going in that this is a tough world to break into. I just feel there is no “community” in this company. I don’t think I’m wrong to ask for communication channels to be open for clients to contact agents. Being pushy is not my standard operating procedure and I don’t like when I have to pull it out. This whole ordeal has left a bad taste in my mouth. We’re just going to keep our ears to the ground locally and get Emma trying some local theatre (camp this summer!) to see what she really thinks of it. Years ago, my eldest daughter and I had a very good experience with two different talent agencies.One was based in Oshawa and the other in Ajax. We received paid extra work from both these agencies and it did not cost a dime. We had parts in several movies and TV showshows. My daughter and her cousin were in Fly Away Home, for example. The agencies received their money as a percentage of our earnings. ACTRA cautions, as do many legitimate agencies. If an agency believes you will make money for them they will NOT charge you a cent! The one agency simply took Polaroids for the pictures. We brought in a set of our own head shots to the other agency. They said the head shots were excellent and wanted to know who the photographer was – we had them done at Walmart! RUN FROM ANY AGENCY CHARGING YOU MONEY! There are legitimate companies that advertise acting lessons – they do not bill themselves as modelling or talent agencies. Likewise, there are legitimate photographers who do not advertise themselves as modelling agencies. Businesses that lead people on by their hopes and dreams in order to sell photo shoots or acting lessons are not being up front and honest. Thanks for your comment. I appreciate hearing from someone who’s had success with an agency that didn’t charge exorbitant fees. We are going to let life go on for now without seeking out any agencies. Perhaps in the future (if Emma is still interested) we will look farther afield. Thanks again for sharing your experience!